To mark the beginning of 2018, I set out with a blank journal in hand and all the knowledge of mistakes I’d made in my first journal last year. 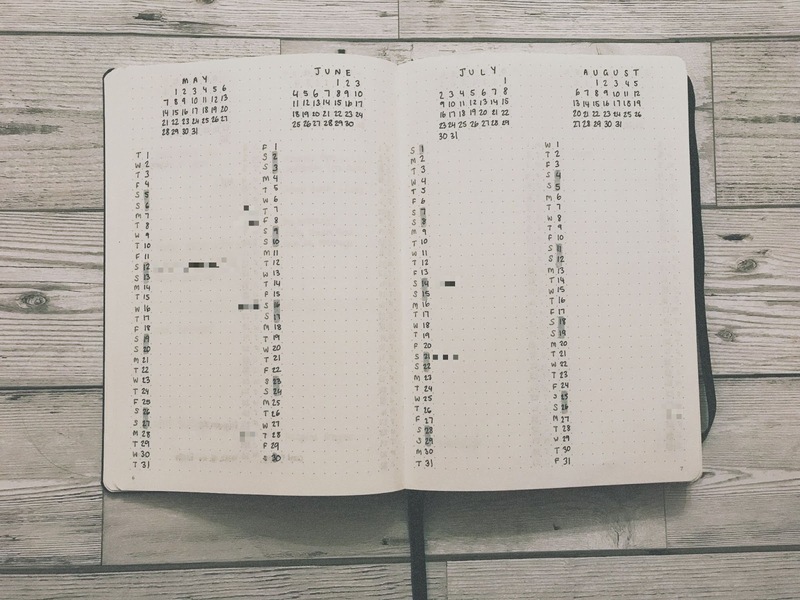 I decided that this year I was going to take a more minimalist approach than to ensure that my journal would aid my productivity without becoming a chore itself. To get into the flow of a more minimalist approach, I've been making a conscious effort to seek out Instagram accounts which have this amazing minimalist vibe to them. The collections feature on Insta has been getting a lot of use from me in recent weeks! Take a look at some of my favourites! @lookbullet - provided me with a Weekly Spread I loved! @wezz.bujo - I love all their layouts! @deskgraphy - The tutorials are so good! I'm thinking of ways to incorporate them! @journautical - Goals. Actual goals. Starting with the journal is actually be writing it, this time around I opted for a black dotted a5 notebook. Last year I got the same, except for the fact it was the designated Bullet Journal edition and so included a Key, and instructions on how to bullet journal at the back. I’m happy with this book. I think it looks very smart, I’m happy with the quality of paper inside and I feel like I’ve got enough room on the pages for my needs. That’s literally it. In the past, I’ve used all the symbols that you'd typically get in a bullet journal, but I find these are the ones I use most. Since there’s only three I remember them quite well! I wanted to draw out this page to signify it was 2018. A new year and all that. Plus I wanted to have a go at drawing and using this dotting technique. I like it, but think I'm going to add more dots when I'm bored. Doodle space built in! I was quite torn on how to draw out my future log this year. I really liked the layout of my previous one but ruined it with decorations and colours which I now detest. I nearly opted to do the same layout but just leave it blank, but since one of my ambitions in 2018 is to plan lots of cool stuff - I need space to write in lots of the fun things I’m going to plan! 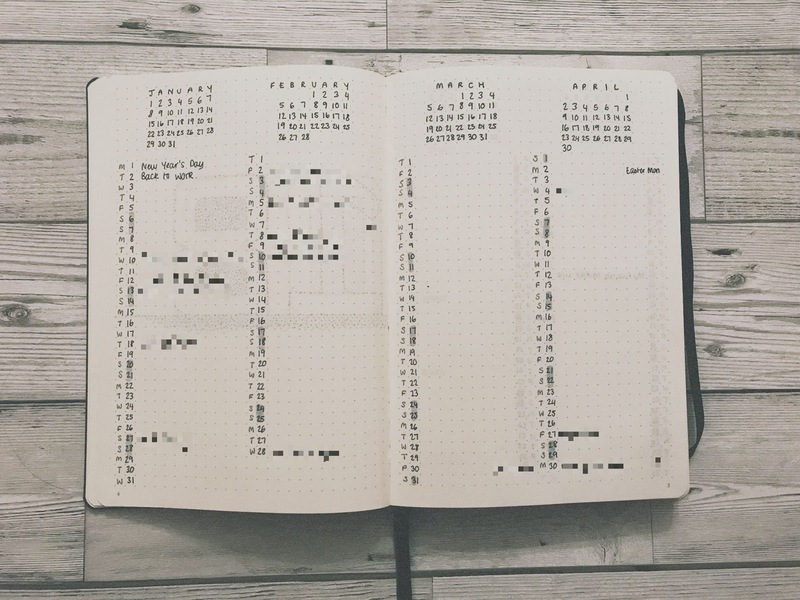 I like this layout because I can see the whole month at a glance, it makes it easy to see if I'm planning too many things close together. I try and schedule my weekends so that if I'm doing something Friday night, I chill Saturday and vise versa. I also added in the grey highlights on the weekends of each month so I can quickly see what time in the week I'm planning things for. Plus it looks pretty. 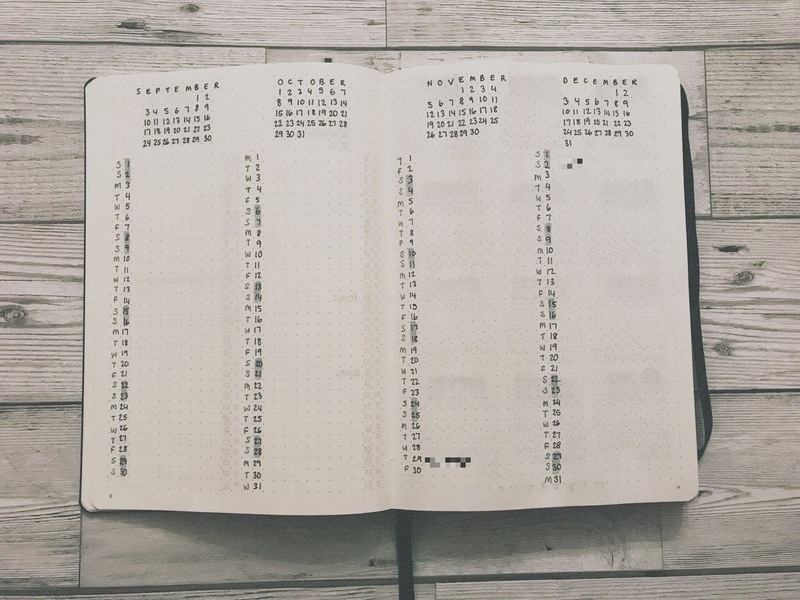 At the end of my 'in-depth' future log, I wrote out two 'year at a glance' pages for 2018 and 2019. This took bloody ages and I honestly think I pulled a muscle in my shoulder writing all these out. Next time around I'm seriously going to consider calendar stickers instead because spending two hours on a Saturday afternoon writing out numbers wasn't very fun. I used stamps for the 'eighteen' and 'nineteen' titles and love them! I'd fallen out of love with stamps a bit but I think using them like this is good, not too much effort but still looks great. I also thought this was a great time to get a bit of washi tape in my bujo. Looks fancy, huh? I drew out this page as a further extension to my Future Log. This probably won't get a lot of use out of this until the latter half of 2018, but I wanted somewhere to write down any important dates that might be coming up. For example, if I book tickets to a concert that's next year I can write them here. I've also popped in a page here for Birthdays. I'll use this by just writing the date and name of people's special day in the corresponding month's box. Last year I drew out a lot of collections, including one to note down places I want to visit, one for keeping tracking of TV series and films I'm watching, one for quotes, one for things I'd like but can't validate buying. The list goes on, and to be honest the only one I truly loved and used properly was my reading list. It's simple, to the point, and the more I read the prettier the page will become. I've opted to only include this as a collection for the time being. I've left a few pages spare if anything comes to mind, but I don't want pages and pages of collections I don't use. How do you feel about collections in your bullet journal? That brings me to a close on how I've set up my new bullet journal. So far I'm very happy with it and am actually using it every day! Here's a little look at the cover page of my January section. I'm continuing with the same theme and if you want to see more check out my Instagram. 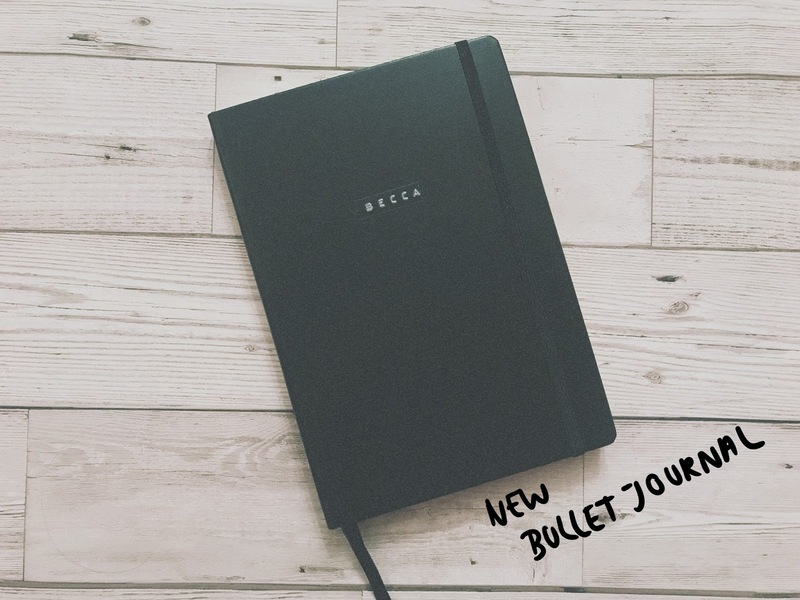 I post a bullet journal related photo every three or four (sandwiched between other things). I'll likely do a post about my January pages next week or the week after. Watch this space!